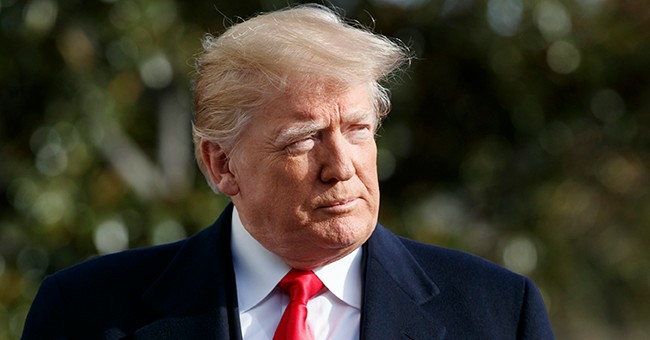 “President Donald J. Trump spoke today with Venezuelan Interim President Juan Guaido to congratulate him on his historic assumption of the presidency and to reinforce President Trump’s strong support for Venezuela’s fight to regain its democracy. Interim President Guaido thanked President Trump for the United States’ commitment to freedom and prosperity in Venezuela and the region, and noted the importance of the large protests across Venezuela against former dictator Maduro, set to occur today and Saturday," White House Press Secretary Sarah Sanders released in a statement. "They agreed to maintain regular communication to support Venezuela’s path back to stability, and to rebuild the bilateral relationship between the United States and Venezuela,” she continued. "As you know, on January the 23rd, President Trump officially recognized the President of the Venezuelan National Assembly, Juan Guaidó, as the Interim President of Venezuela. Venezuela's National Assembly invoked Article 233 of the country's constitution to declare Nicolas Maduro illegitimate. This action was a statement that the people of Venezuela have had enough of oppression, corruption, and economic hardship," Bolton said. "Since then, 21 other governments in the region and across the world have joined the United States in recognizing Guaidó as Venezuela's Interim President." In addition, the United States issued new sanctions against Venezuela's state run oil company.